lines such as New York, Hong Kong, Paris and Rome. nents and improving the driving experience for everyday road car users all over the world. company is intending to increase its awareness and expand its image towards an extended international community . As a new, unique format and with the 4th season successfully finished, the ABB FIA Formula E Championship is getting more and more popular and getting more and more support by the mega city governments. Auto manufacturers like AUDI, MB, BMW, Porsche are already or will be present in the series. Season 5 of Formula E is widely regarded as a ‘watershed’ moment in the history of the all-electric race series. The ‘new era’ of Formula E brings with it a new generation of cars, competition, manufacturers, teams, drivers, circuits and interest. Envision has become the majority team owner of Virgin Racing since Season 5. 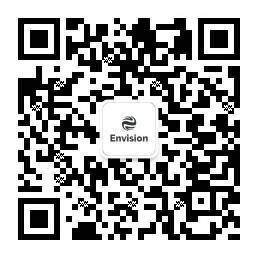 And it is an important step for Envision to start positioning the Group towards media and public. Sustainable energy and smart mobility means a perfect match to Envision and Formula E. And with the unique infrastructure mentioned above, Envision and Formula E series are informing and inspiring around not only Evs, but of the entire energy ecosystem. Robin Frijns won titles in almost every series he competed in prior to entering Formula E. He cemented his racing credentials in Formula E by gaining a podium in just his second race, Putrajaya, continuing to gain accolades throughout season two and three. Continuing to impress outside of Formula E for the last couple of seasons, he returns to the sport with Envision Virgin Racing in Season 5, and took a podium in just the second race of this season. Briton Sam Bird has enjoyed a highly successful career spanning a variety of championships since his karting debut back in 2002. He joined Formula E and the team for the inaugural Formula E race in Beijing in 2014, going on to compete in every race to date since. By Season 5 Hong Kong race, achieving 17 podiums and 8 wins in his 50 race starts, Bird has proved that he is one of the most competitive out on track and one of just two drivers to have recorded victories in every Formula E season. Hong Kong was his and team’s 50th race in this all-electric series. from around the world, and will be aiming for even greater success in Season Five. Kaspersky Lab is a global cybersecurity company now in its 20th year boasting more than 400 million users, as well as 270,000 corporate clients. Kaspersky Lab is uniquely placed to protect Envision Virgin Racing’s technology and keep the team ahead of the competition. Working together, the two are at the forefront of developing cutting-edge technologies to keep the team’s cars, and its data, secured against cyber threats, both on and off the race track. The company drives digital-led innovation and digitally-enabled intelligent operations for clients, guided by experience running thousands of processes for hundreds of Global Fortune 500 companies. Innovation has been at their core of Stanley Black & Decker for 175 years. The organisation, an S&P 500 and FORTUNE 500 company, is the world’s leading provider of tools and storage, as well as the world’s second-largest commercial electronic security company, and a leading engineered fastening systems provider, with unique growth platforms in the oil & gas and infrastructure industries. Stanley Black & Decker is collaborating with the team’s engineers to help develop technologies that will shape the future of racing and transportation, in addition to the supply of the latest tools and equipment to ensure the team has the edge over the competition. Well-known brands include: STANLEY, CRAFTSMAN, BLACK+DECKER, DEWALT, IRWIN, Lenox, Porter-Cable, Bostitch, Facom, Mac Tools, Proto, Vidmar, Lista, and more. From season five onwards, Envision Virgin Racing Formula E Team will operate as an independent team and will utilise Audi Sport technology to power its race cars. The multi-year agreement with the German manufacturer will see the team supplied with Audi’s latest all-electric single-seaters – the Audi e-tron FE05 – with the outfit having already proved their winning credentials winning the Formula E teams’ championship last season. As well as a long and illustrious motorsport pedigree, Audi became the first German automobile manufacturer to race in Formula E, taking over ABT Sportsline’s slot on the grid in the 2017/2018 season. The Allgäu-based team has been successfully present in Formula E ever since the inception of the electric racing series and are taking care of the e-tron race cars as the fielding team. The Audi e-tron FE05 has already undergone significant pre-season testing and is expected to be one of the most competitive packages on the grid. Erreà is an Italian company specialising in the manufacture of technical sportswear, and represents an international business operating in 80 countries around the world. Founded in 1988, Erreà is a leading brand, recognised as being synonymous with quality, expertise and competence in the field of sports. With more than 54,000 independently owned public and semi-public charging spots and thousands of customers (businesses, cities, agencies and service providers), ChargePoint is the only charging technology company on the market that designs, develops and manufactures hardware and software solutions across every use case. Leading EV hardware makers and other partners rely on the ChargePoint network to make charging station details available in mobile apps, online and in navigation systems for popular EVs.